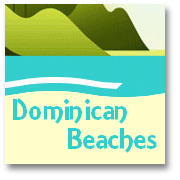 We have tried to provide below a brief summary of Dominican Republic History, from the time of its earliest known inhabitants 'the Tainos', through the period of the Island's discovery by Christopher Columbus (who initially christened it 'Hispaniola') and on to the major events that led to the emergence of the Dominican Republic as we know it today. Of course, there would have been too much information for one page to try and summarize all of Dominican Republic history to date. 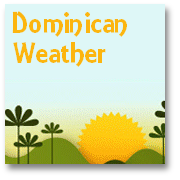 So if you would like to know more about recent history, then please take a look at our 'History of Dominican Independence' page and our 20th Century Dominican history time line for a useful insight to the last two hundred years of Dominican Republic history. As you plan your own visit you might consider the fact that Dominican Republic history has seen some colourful (and not always pleasant) events occurring on this beautiful Island, yet you can rest assured that today the same tropical paradise awaits discovery by you, just as it did so many thousands of years ago by the earliest immigrants who made their way to the Island from South America, and chose never to leave. Maybe you will find yourself becoming a part of Dominican Republic history once you let this beautiful Island work its own special magic on you! 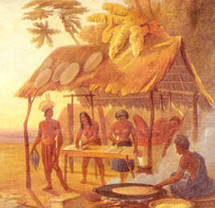 Anthropological research has shown that well over five thousand years ago a wave of emigration from South America's Amazonian region brought the Arawak Indian ancestors of the people who peacefully existed on the Island for millennia, to discover and settle in the place that was initially to become known to the so-called 'civilised world' as Hispaniola. These early settlers called themselves the 'Taino'; and it was they who it was found, in the fifteenth century, to be harmoniously inhabiting the idyllic island. 'Taino' meant good or noble in their language and, indeed, it is thought that the population of about one million, arranged in five tribes, was about to emerge as a civilization with a central government. The records of Dominican History then tell us, in 1492, Christopher Columbus, an Italian navigator of Genoese birth, led his three ships on behalf of Ferdinand and Isabella of Castile (Spain) across the Atlantic in search of 'the Indies'. First discovering the Bahamas and Cuba, they shortly afterwards found and landed on the island that they would name Hispaniola (from the Spanish: Ia Isla Espanola – "The Spanish Island"). Columbus described the fertile island as a beautiful paradise, with high, forested mountains and large river valleys. The native people welcomed them warmly and he remarked on their peaceful docility and their generous, co-operative nature. He also noted the adornments of gold worn by many, and the lack of weapons. He must have recognised that conquering these people would be a simple task. These peaceful and welcoming people would soon be put to work for the Spanish invaders, and the fertile soil would expoited for profit (particularly sugar-cane) and, of primary significance to the Spanish adventurers, there was plenty of gold just for the taking. The paradise island was about to enter an era of turbulence that was to have repercussions until the present day, and the nascent civilisation of the Taino was to be reduced to only a very few surviving individuals. As Christmas approached at the end of 1492, Columbus and his Spanish companions spent a few weeks exploring the north coast of the island and feasting with the hospitable native communities. However, on Christmas Eve, just before their departure, probably as a result of two nights of wild partying, the crew of the Santa Maria, Columbus' flagship, were all asleep as they encountered a reef on which their ship foundered. The Indians gave every assistance to save all lives and valuables, but the ship itself was lost. Columbus had no choice but to leave 39 of his men in a makeshift settlement (which they called Navidad), while he returned to Europe. This forlorn group developed aggressive and violent behaviour towards one another, a number of them being killed. Additionally, they became abusive towards the Taino, forcing some of their wives and sisters into service. Unsurprisingly, after many weeks of such abuse, retribution followed. Caonabo, a tribal chief, led an uncharacteristically angry and murderous attack against what was left of the settlement. 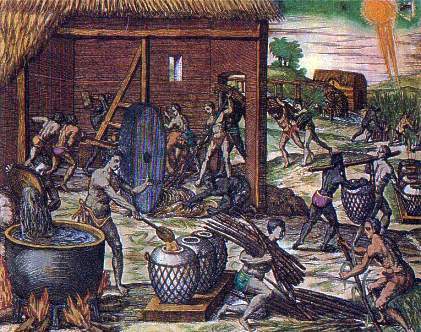 On Columbus' return in the spring of 1493 with a large expedition, Navidad was found deserted and burned to the ground. The new expedition of some 1000 people, bent on the acquisition of great wealth and determined to exploit the gold deposits in the Cibao River valley in the north, attempted to found a new coastal settlement, named after the Spanish queen, Isabella. Columbus continued his exploration of the Caribbean. Meanwhile his brother, Bartholomew, was appointed Governor of the Island, now known as Santo Domingo – named after the patron saint of the Dominican Order, whose friars followed the explorations of the time and were responsible for the setting up of educational institutions and preaching the Christian message to the native populations. The hospitable Taino, pushed to rebellion by the exploitation and maltreatment they received at the hands of the incomers, were, in 1495, decisively crushed by the ruthlessness and sophistication of Spanish militarism. Chief Coanobo was captured; the Indians were put to hard labour mining and panning for gold. Columbus attempted to end the abuses against the Taino by outlawing foraging expeditions against them, and regulating the taxation imposed on them by the settlers. These rules were unpopular with the settlers, who opposed Columbus. He then devised a system of land settlement (repartimiento) under which a settler could be granted, in perpetuity, a large tract of land together with the services of the Indians living on it. Several more attempts were made to settle on the north coast. However, not until the discovery of gold in the Ozama river valley to the south, was Batholomew able to found the first successful settlement that was to become the capital city of the island. Built over a period of two years, the city of Santo Domingo was the representative seat of the Spanish monarchy for the entire Spanish Indies, an important centre of power and influence. It was the New World's first capital city, the site of its first Catholic Cathedral, its first University and its very first hospital. Some of these original buildings have been completely restored and can be visited in the City's Zona Colonial. The word colonial is derived from the name of Columbus, which is a Latinised form of his Spanish name, Cristobal Colón. Unfortunately, this did not improve the situation for the Indians. Neither did it improve the Island's administrative system. The main focus of the administration of Santo Domingo was towards the American mainland for its gold, and towards Spain for its administration, supplies and colonial immigration. The hinterland of the countryside was left to the power of the increasingly wealthy colonial landowners, who possessed almost sovereign authority over the land granted to them. Local government was therefore virtually non-existent. The landowning Spanish émigrés, growing dissatisfied with the leadership of the Italian Columbus brothers, conspired against them. In 1499, Christopher and Bartholomew were relieved of their positions following distorted accusations of mismanagement to the Spanish Court; and were peremptorily sent back to Spain in chains. When it became clear that these accusations were exaggerated, the brothers were released under the orders of Queen Isabella. 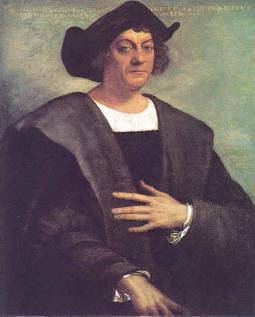 After further expeditions, Columbus died On May 20, 1506 in Spain; fairly wealthy due to the gold his men had accumulated in Hispaniola. He was still convinced that he had discovered the East Coast of Asia! Even after his death, his travels continued: first interred in Valladolid and then in Seville, the will of his son, Diego, had his father's body transferred to Santo Domingo in 1542. To replace the Columbus brothers, the Crown appointed, as Chief Justice and Royal Commissioner, Francisco de Bobadilla, who did not prove to be an efficient administrator and was himself replaced three years later by Nicolás de Ovando as Governor and Supreme Justice. Later to receive the title of 'Founder of Spain's Empire in the Indies', Ovando instituted, early in his governorship, upon the orders of the Crown, a new system of management – Encomienda. Under this system all land was theoretically the Crown's property, the Indians being considered as tenants on royal land. The Indians became the charges of the settlers, who were to provide for their well-being and their Christian instruction. However, due to the absence of enforcement by the authorities, rapacious land acquisition still took place, and abuse of the human rights of the Indians continued unabated. Ovando, intending to 'domesticate' the Indians, tricked the widow of Caonabo, Princess Anacoana, into inviting the tribal chiefs to a feast, ostensibly to welcome the new Governor. The eighty or more chiefs were assembled in one large house. Orders were given to the Spanish military to surround the house and set it on fire. Those who were not killed by the fire were tortured to death. Anacaona, first subjected to a mock trial, was hanged. No Taino leaders remained, and resistance from the Indians was now completely eliminated. Subjected to hard labour, forced to live under deplorably harsh and repressive conditions, unable to grow food for themselves, they rapidly began to die off from exhaustion, starvation and imported European diseases. Their desperate attempts to escape Spanish tyranny involved a tactic of abandoning their villages and burning their crops. The result was, of course, widespread famine. Deeply demoralised, some of them committed mass suicide. In 1518, only some 50,000 Tainos were left on the island. In the same year an epidemic of smallpox almost wiped out the remaining native population overnight. Some sources estimate that by 1548 they had been reduced to just 500 souls. By 1503, the sugarcane plantations and the gold mines were well established, but there was already a critical labour shortage caused by the treatment as slaves of the indigenous people. At about this time, therefore, the Spanish began to import the first African slaves. Although many of the first wave of Africans later escaped to live in the wild mountain valleys, by 1520 black African slave labour was used almost exclusively. Columbus' son, Diego, was appointed governor in 1509, but his ambition and luxurious life- style aroused suspicion in the Spanish Court. Consequently, in 1511, the Crown introduced a new political institution designed to check the power of the Governor, 'the Audencia'. This was a tribunal of three judges whose jurisdiction extended over all of the West Indies. Eventually use of the Audencia was to spread throughout the Spanish Americas. 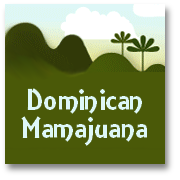 20th Century Dominican History TIME LINE! 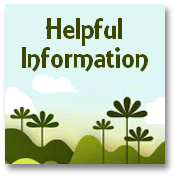 Sponsor this page for just $1-per-day for the firt 90-days and help keep the site alive as well as get a link with text or image of your choice. Contact us today to arrange things! 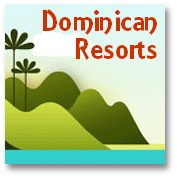 Please note: Although Visiting the Dominican Republic.com makes every reasonable effort to provide accurate information, it cannot guarantee the accuracy, reliability, currency, or completeness of the information contained on this website about Dominican Republic History.